Cleaning out and performing maintenance on your RV’s waste tank is no one’s favorite chore. 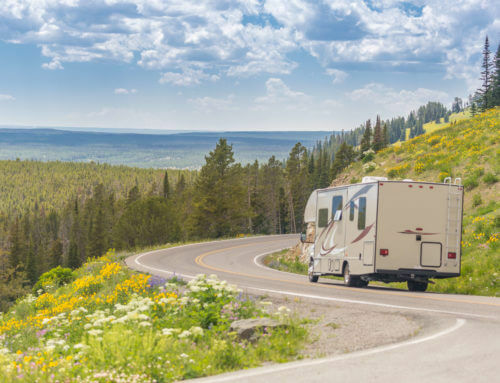 However, to keep your RV running smoothly, you have no other choice. It’s easiest if you use preventative maintenance so that you never have a mess that’s bigger than you can handle. So, what’s involved in proper tank maintenance practices? Dumping blackwater before greywater. This means your hose will get cleaned out with the greywater which is cleaner than the blackwater. Running water after the initial dump. Use an enzyme cleaner after dumping if you’ll be heading out on the road again. 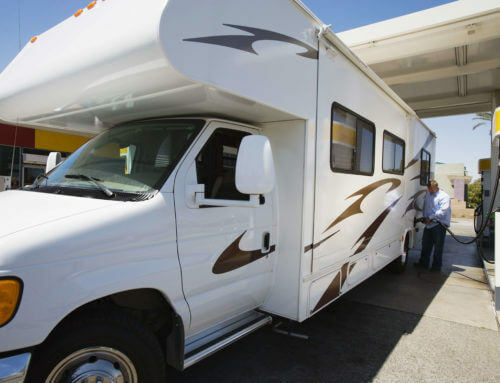 While some may sanitize as often as once a week, it depends on how much you use your RV. You can probably get away with sanitizing just before the winter. However, this process can help eliminate bad odors and keep things sanitary. So, you can use it as necessary. You can sanitize after dumping by filling your tanks three-quarters full of water and adding a few cups of bleach. Let the mixture sit for about 10 minutes, and then empty it completely. When you finish, you need to thoroughly flush the system with water so that the bleach won’t damage your plumbing. Fill and dump the tanks until the bleach smell is gone. 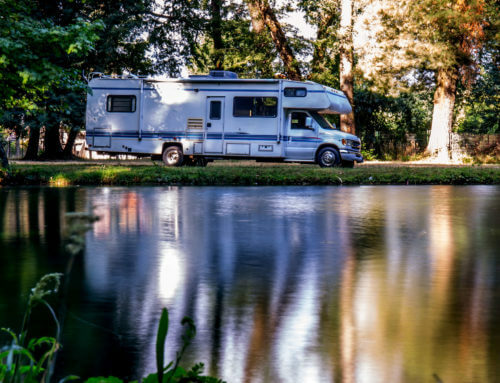 Some RVs come with a backwashing system, but others don’t. If you don’t have one, purchase a wand made for RV tank pressure washing. You place this wand, attached to a garden hose and the campsite’s water spigot, through the flapper of the toilet (after dumping of course!). You then use the wand to clean out your waste tank of any stuck debris and sludge. When finished, flush the system once with clean water. Enzyme treatments are essential for making your waste tank maintenance easy and stress-free. Enzymes are friendly bacteria that help keep solids from accumulating in your waste tank on the sides and bottom. They eat away at any sludge accumulating in your tanks, making your cleaning processes much more manageable. All you have to do is add about a gallon of water and a packet of the enzyme cleaner to your tanks after you sanitize or dump your them. For nearly all of these processes, having a clear sewer hose adapter is helpful. Why? As gross as it sounds, it’s so that you can see what color the water is. When the water comes in bright and clean, you know that you’ve finished your job. However, if you see debris still coming through, you know that your cleaning job is not completed. Always remember to wash your hands thoroughly after performing these maintenance tasks. Remember, the more regular you are about cleaning and maintaining your tanks, the easier it is. By keeping at it, you avoid plumbing problems and build-up that can become very unpleasant! Safe and sanitary RV waste tank maintenance isn’t rocket science. 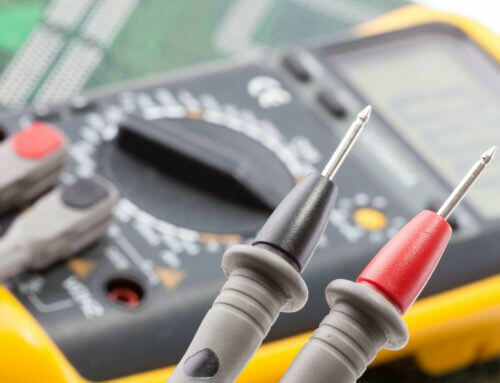 Once you get into the groove, you’ll find it’s easy to keep up with these tasks. 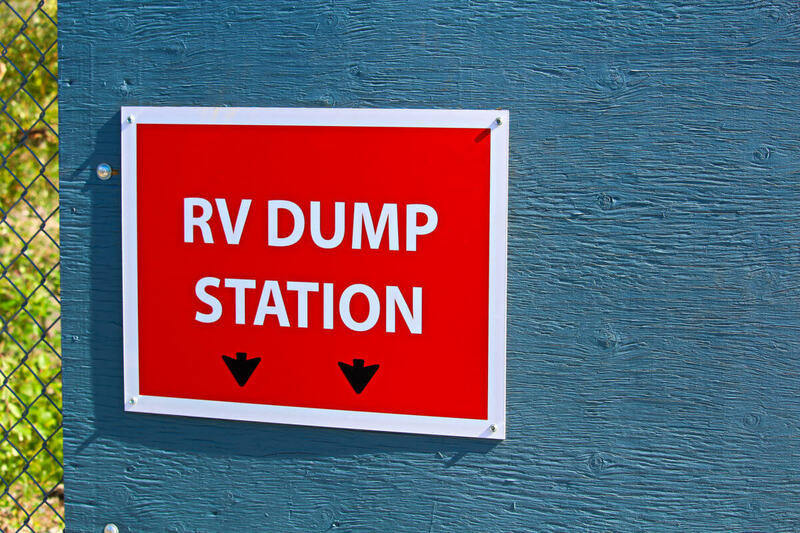 Struggling with an RV plumbing issue? Not sure how to solve a problem with your waste tanks? Contact the friendly experts at Farace RV. We’ll be happy to help!